If you or your business would like to sponsor a Postcard from Cuba, please email me at nothingbythebook@gmail.com to discuss potential dates and costs. If there is a postcard in the pipe that fits in particularly well with the theme of your business, I’d love to get you supporting that one. Win-win and all that, right? Sponsors get my eternal gratitude, expressed at the beginning and at the end of the print and audio posts. I know. How very old school. Does it feel like 1920 to you? It’s fitting. I am, after all, writing from and about the place where time moved at a very different pace through the last half of the twentieth century. Sponsors don’t get creative input or an opportunity to preview the material. Forgive me for being blunt, but your time is precious and so is mine, so let’s not waste each other’s time with basic miscommunication. 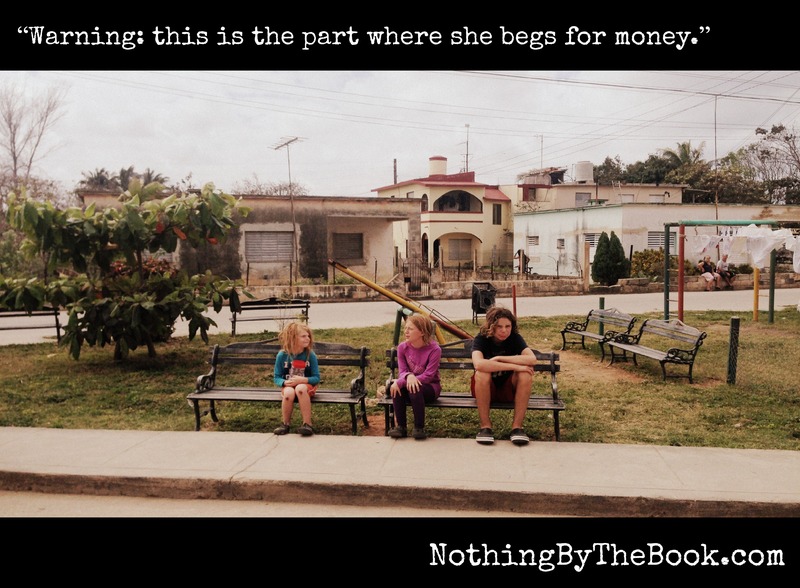 I am NOT offering to promote your product-business-blog by writing about it within the content of the Postcards from Cuba project—or any other Nothing By The Book post. Nor am I offering paid post placement or any of the other “collaborations” that arrive in my email a dozen times a day and are indistinguishable from spam. for committing to sponsor the first two weeks’ worth of posts based on an incoherent five-word pitch. Hey, they can predict the future. Don’t you think they’re on to something? 😉 Get on board.